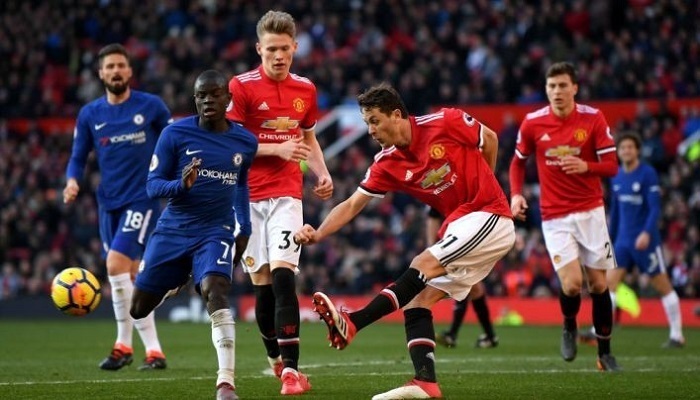 Chelsea and Manchester United always aim to high tournament achievements, and we’re really curious to watch their head-to-head confrontation. Londoners are currently ranked second in the standings, having scored 20 points during 8 matches played. Interestingly, now Surry’s squad is behind the leading Manchester City only on additional indicators. Considering the skills, they seem to be perfect both in attack and defense. The number of goals scored-conceded is further evidence (18-5). Despite the opponent level, the bookmakers’ prediction is in favor of the hosts, and their choice may be supported. Chelsea are now really in great shape and besides, they always look pretty confident playing home matches. These factors are indeed causing concern to all the Manchester United fans. Manchester United had a pretty good previous season and managed to take second place in the English championship. Although their performance was not always perfect. Speaking of the current season, Mourinho’s squad results are not impressive: they are 8th in the Premier League table after 8 matches played. Be as it may, they’re attuned positive before the match with Chelsea because they were able to beat Newcastle the day before (3:2). However, MU are well aware they have a far more serious challenge ahead. According to many media reports, Jose Mourinho is now facing a real threat of dismissal due to all the above-mentioned factors. The head coach obviously cannot deal with the team’s issues and finally improve their performance. Chelsea are in great shape and always more confident playing home matches. MU experience serious attacking and defensive issues. It is unlikely that the coaching staff managed to eliminate them so quickly. Chelsea got a win over MU in the 4 head-to-head meetings at home arena. We’re waiting for an uncompromising struggle in center field and no more than 2 goals scored. The most logical result we see is Chelsea win with the score 1:0. Like our prediction but not satisfied with the odds? Check out the article on how you can get a more stable and tangible income from betting.